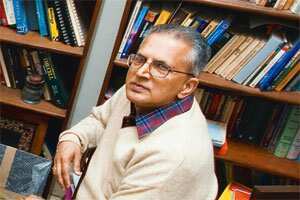 Long way to go: G.K. Pillai. What progress has been made after the Mumbai attacks on investigation and capacity building? In the meantime, we have set up a multi-agency centre. We have much better copperation from some of the other intelligence agencies around the world in terms of sharing information... Many more intelligence people have got trained abroad, so to that extent, the quality of intelligence has improved...but we have a long way to go. We have a huge country and we have a tremendous shortage of manpower. G.K. Pillai talks about India’s readiness to prevent or deal with Mumbai-style attacks and why he believes Pakistan isn’t serious about prosecuting those responsible. Do we have the ability to prevent another 26/11? No, I don’t think we have the ability right now to be able to prevent a further attack like 26/11, but our response would be far better. Of course, it’s quite possible that we can (prevent it) provided that we are lucky—if the opponent makes some mistake or we could catch some intercept or communication. What if there is another 26/11 orchestrated from Pakistan? I think if there is another 26/11 instigated from Pakistan, the entire peace process will be derailed and the consequences will be quite serious. Pakistan always says India gives information but not evidence. I think we have given enough evidence... They know the people who are involved. Since it is their own people who are involved, they don't want to take action. For example, the voice samples of handlers from Pakistan, who were in touch with terrorists in the Taj Mahal Hotel, the Oberoi hotel, are available. Voice samples have been given to Pakistan not only by us, but the FBI (US’ Federal Bureau of Invesigation), too. Pakistan has got many people in their custody... They got (Lashkar-e-Taiba military commander) Zaki-ur-Rehman Lakhvi in their custody. Just take the voice sample and find whether it matches with the samples given to them and if it did then ask them why they were interacting with terrorists or was it a social conversation? The trial is moving slowly in Pakistan. I think it’s the lack of seriousness; I don’t think that they have any intention of taking the trial to its logical conclusion and getting these people convicted. Otherwise, they would have been the first to come forward. They have said they were going to send a judicial commission to examine the investigators and the magistrate who recorded the statement of the accused. The green signal was given to them by us during the last home secretary-level talks (in March). Now it has been eight months. If they were serious, they could have flown somebody down in the next week or next month. Which section in Pakistan is blocking the trial? It is the Pakistan ISI backed by the army which is blocking the progress of investigation. The civilian administration would be possibly wanting to do more. I remember even Rehman Malik, the interior minister of Pakistan, he at least openly told our home minister (P. Chidambaram) that don’t make any views now and see what we do. We would not disappoint you... It’s been 18 months now. I can only say that I’m very disappointed as he did not do anything. How is the US cooperating with India after the attacks, and could Headley be extradited to India? The real issue we took up with the Americans was that before entering into a plea bargain with Headley...they should have consulted with us. The evidence given by Headley is not of much evidential value, because he could not be cross-examined here in India. I still feel that a lot of evidence we asked has come, to an extent, piecemeal. Bank accounts—that is something they (the US) could have given us immediately. He (Headley) travelled nine times to India, Pakistan, Australia, Africa, the Middle East. Bank details would have told us who funded him...whether it was LeT, ISI or American agencies. From that, you can find out who is running him... So they were partially fair to us, not fully. Had the US alerted India about Headley’s movements? Could 26/11 have been prevented? Had they alerted, it could have been prevented. (Headley) came to India post 26/11, in March 2009, and visited many places. At least that time they could have told us. National Intelligence Grid (Natgrid) just got approval from the cabinet committee on security (CCS), but what about what about the National Counterterrorism Center (NCTC)? I look on it as Natgrid is the base on which NCTC will really come up. There was some delay, partly due to the apprehension of various ministries and agencies. But it is natural when such a major project comes up... (The new system) is an analytical approach to intelligence gathering. You are not looking for intelligence gathering from only one sourcem but from multiple sources—whether it’s banks, airlines and so on—then putting together and forecasting likely suspects, what is the trend, and suspicious movements and so on. That is still a few years hence, but Natgrid would be the first step towards that. My own assessment is that once Natgrid is established in the next three-five years, people will see the usefulness. What is the current objection to NCTC? Is it a turf war among the agencies? It is not a turf war. I think people have not spent enough time to discuss the discussion paper circulated by the home minister. The other thing is that, I think, with so many other issues coming up, whether the issues of privacy, whether what information will come in will be misused. Everybody was a little apprehensive about creating such a huge organization. That is why it is important that you accelerate the the process of setting up Natgrid... If you do that, people will get confidence on how the information is protected and how it is used only for anti-terror and not any other activity. You can’t use it for income-tax violation; it is only query, answer and analysis done for anti-terror operations.